Vapesoon Silicone Rubber Skin for Eleaf iJust S is a very practical accessory, is designed for Eleaf iJust S. This rubber skin will not only protect your iJust S from scraping, but also give it a new look. There are 10 color options with good quality silicone. Choose the design you like! • It's for Eleaf iJust S.
Vapesoon Silicone Case for Eleaf iJust S - Black Hello friends, the order arrived quickly and in perfect condition, the packaging did not suffer any distraction during the long journey to Romania. Vapesoon Silicone Case for Eleaf iJust S - Black is made of very good material, soft velvety and very pleasant to the touch feels good in the hand. Vapesoon Silicone Case protects, 3000 mAh of shots and scratches protects the atomizer and glass pane of the atomizer bottle The silicone sleeve is provided with a hanging ring, the sleeve has cutouts at the right of the loading junction so you can easily inject the iJust S kit even with the case silicone on it without any problems the case also shows cuts at the right side of the tank to see better inside the atomizer the amount of liquid remaining available in the tank, shows undecupation and next to the air inlet, has another hole at the bottom electronic cigarettes that allow the passage of air through the cover for better ventilation. On the front of the display there is a button on the start button, no lint or other impurities on the surface. 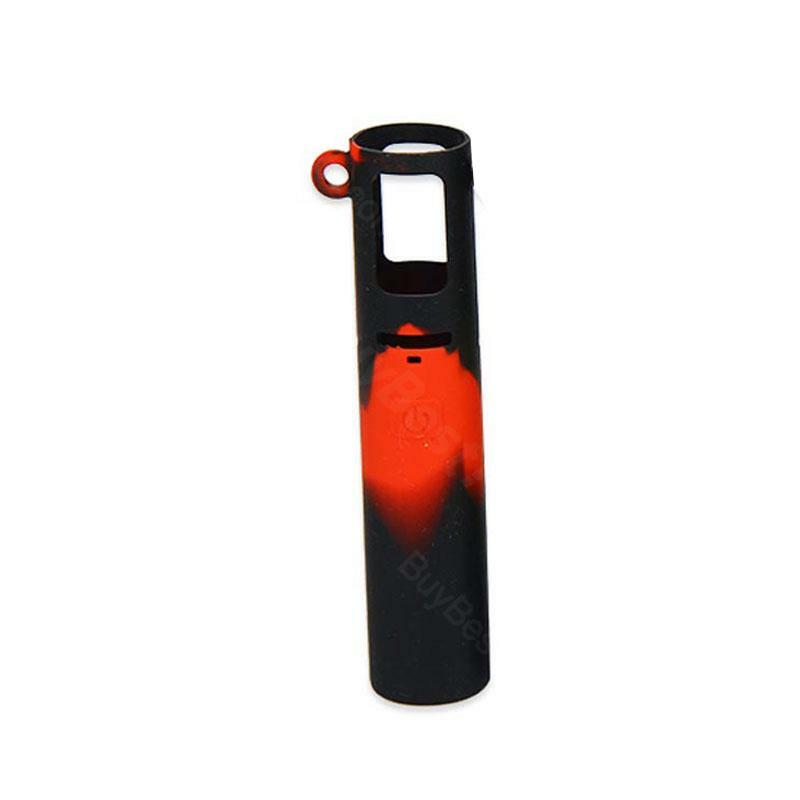 The Vapesoon Silicone Case for Eleaf iJust S - Black is an acceptable one considering the protection it can offer in the face of the blows and the expected scratches that can damage the kit even when it is broken or bent, which can represent a high degree of danger without silicone case protection, silicone case does not interfere with the good functioning of the electronic cigarette kit. I agree with five stars and I highly recommend this product sold by BayBest! BayBest! an honest and friendly website with high quality items and well-tested products before shipment, answered my questions in the shortest possible time and when I did not know something about the BayBest! helped me with good advice and guidance, gave coupons and many discounts. This is the way I want to thank BayBest! and his team. Hello, thank you again, for the product, sent quickly and consistent with the description. I keep you as a favorite store. Seller to recommend. Vapesoon Silicone Case for Eleaf iJust S made of silicone case. Available in different colors. This silicone sleeve is attractive and a good insulator when the battery heats up. The button and micro USB holes line up very well. The shipping was excellent, as usual, only two days. The seam is on the side and with black and white the uneven match is not bothersome.